Ships in 1 - 3 days. Free! 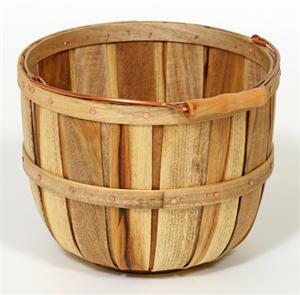 Fashioned after the classic "bushel style" basket. With a solid wood bottom, this basket is strong enough to tote tools into the garden and return loaded with the harvest. 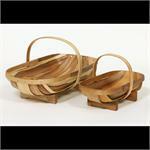 This sturdy basket is a handsome storage accessory for magazines, knitting or kindling. Solid copper bale style handle with a turned wood grip.